Taupo Bay Lodge sits above the bay, situated on a 30 acre property with expansive views. The lodge offers privacy and comfort to a very high level. The grounds and gardens are beautifully maintained, with artworks and sculptures both inside and out. It also has it very own path to the beach, one of NZ's finest beaches. The bush path is 250m/10 minute walk. Fantastic views from all rooms. This location puts it 'on top of the world', and is a perfect holiday retreat for busy families wanting just the best. Stone wall construction, rimu timber joinery through-out, spacious sunny decks, and modern comfortable furnishings complete this quality holiday home. 4 bedrooms, including a SC unit with own amenities at far end of Lodge. The master bedroom comes with en-suite and spa bath along with a sauna. Ample parking, plenty of space for boat too. Taupo Bay is a 20 minute drive from Mangonui, ( or 25 minutes to Kaeo and the magical Whangaroa Harbour) where beverages and food supplies can be topped up, You can also enjoy a takeaway dinner from the world famous Mangonui Fish and Chip shop. Swim, fish , play, BBQ the catch - this lodge has it all. 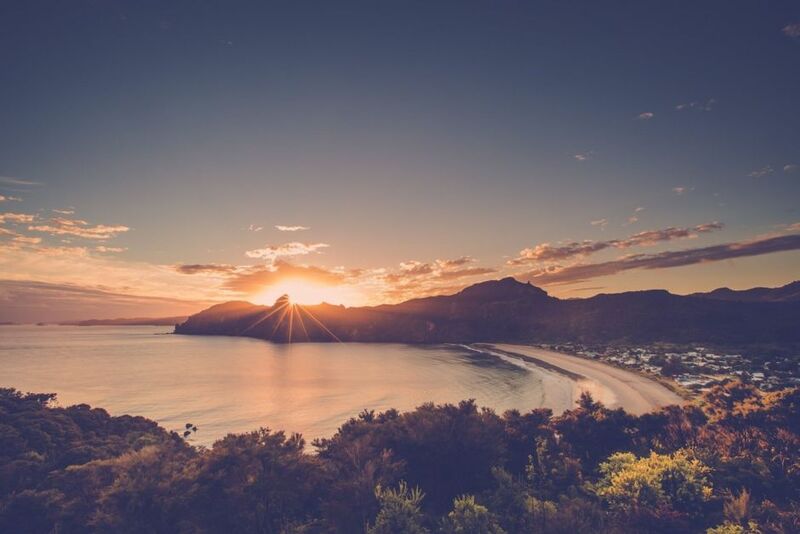 A range of other lovely beaches and tourist activities are all within a 30 to 60 minute drive, but the magic of Taupo Bay generally keeps people close to this wonderful part of the world. Golf - Kauri Cliffs is a 40 minute drive south and Carrington Estate a 40 minute drive north. But for a wonderful kiwi country golf experience, Whangaroa golf club is 20 minutes drive. Fishing charters, boats, kayaks and surfboards can also be arranged for hire. The Far North is a region with so much to offer, and Taupo Bay Lodge is your ideal base from which to explore and enjoy the region.Come back to unwind after a day away, and you will soon be on total holiday mode, sitting back, gazing out over the ocean and beyond. Taupo Bay lodge was tremendous. The location is great: spectacular view, walk to a gorgeous beach on a private track, very nicely designed living spaces and two fireplaces with wood for chilly evenings. Caretaker was super nice as well. This may be our favorite place in New Zealand. We loved Taupo Bay Lodge, the views would be hard to beat. Worked super well for 3 families, well equipt for fun + relaxing. Fabulous location with incredible views. Fantastic. Some of the most stunning views in New Zealand !